There are quite a few “super foods” being touted for their health benefits today, but most are not nearly as impressive as aloe vera gel. This guide will introduce you to aloe vera and the most impressive health benefits of aloe vera gel that are known to this day. Research into the aloe plant continues to be performed, so it is likely that even more health benefits of aloe vera gel will be proven in years to come. Aloe vera is one of around 400 succulent plants in the aloe genus. Aloe plants naturally grow in Africa, though it has also been known to grow naturally in some other areas of the world. Today, aloe vera plants are commonly grown indoors as houseplants for those interested in taking advantage of the many proven benefits of the gel found within the plant’s leaves. Potted plants can be grown in any location as long as they are provided with a lot of sunlight and warmth with a little water. Aloe vera gel is found when you break the tip off of a leaf from an aloe vera plant. This gel is completely safe to use directly from the plant and has been used around the world for many years to soothe the sting of burns and scrapes. This is the most basic use of the gel, but there are many other benefits that have now been proven through research. Today, aloe vera gel is sold in practically every pharmacy department and drug store in the Western world. It is also being incorporated into skincare products and lotions. Yet, natural gel remains the most commonly sought after form. Aloe vera gel soothes the pain caused by burns, scrapes and other skin wounds. Aloe vera is effective in healing skin wounds and preventing infection. Aloe gel moisturizes the skin and leaves it incredibly soft with a healthy glow. 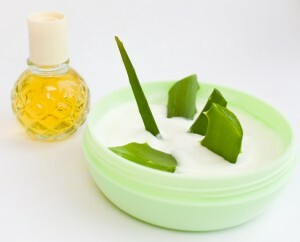 Aloe can help treat a variety of skin problems from acne to psoriasis and eczema. Aloe can boost the immune system. Make sure aloe vera is first or second in the ingredient list. Consider any added ingredients beyond aloe. Make sure they are safe for your skin and effective for the stated purpose on the bottle. 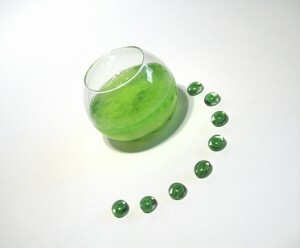 Different aloe vera gel products are intended for different uses and different areas of the body. Make sure your chosen product matches up to your needs. Aloe gel products can be as simple as gels intended to soothe sunburn or as complicated as collagen-stimulating formulas for the face. So glad we could help. If there is anything else we can do just let us know.